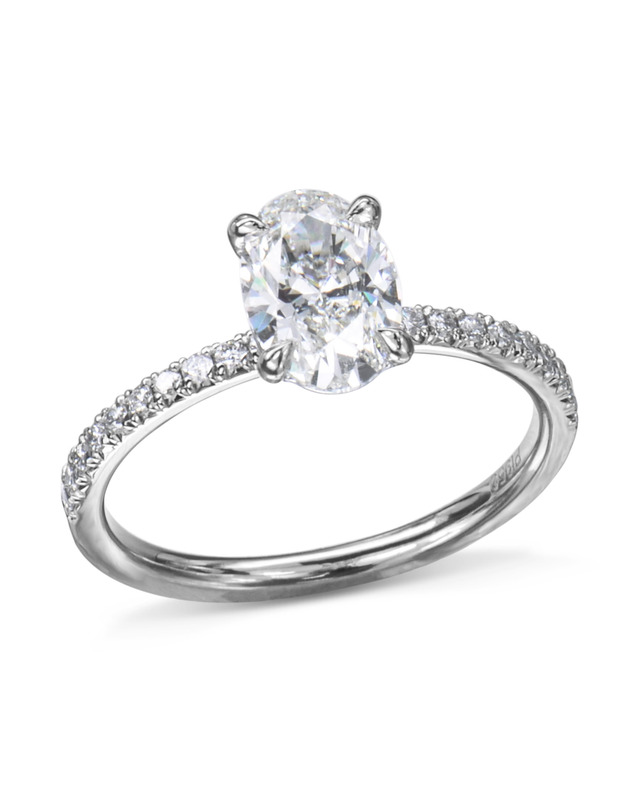 Our classic oval diamond engagement ring is traditional and feminine and a perfect symbol of love. 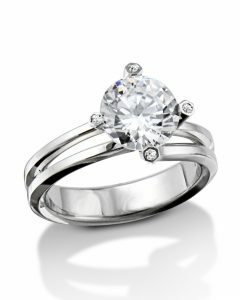 Expertly made in precious platinum, this sweet diamond engagement ring features beautiful french-set diamonds on the band with a sparkling oval diamond center. 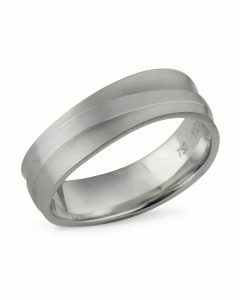 The beautiful silhouette of an oval diamond gives the wearer an elongated and elegant look. 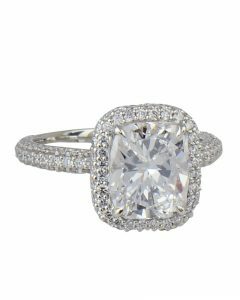 A timeless design, this classic oval diamond engagement ring is pure glamour.